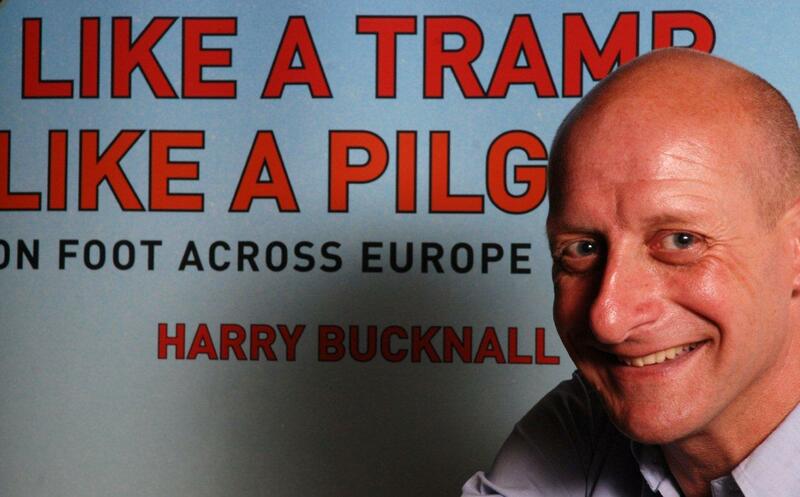 One of the hottest days of the year was the ideal back-drop for Harry Bucknall to describe – in a supremely witty and informative talk - the pilgrimage he undertook two years ago between St Paul’s Cathedral, in London, and St Peter’s Basilica, in Rome. It was a journey covering over 1,400 miles on foot over a route taking him through vineyards and villages, as well as over the Alps and across mighty rivers, like the Po, and which led him to meeting some extraordinary and colourful people along the way. Harry told us he isn’t particularly religious but has “spiritual wanderings”. Far more people undertake the pilgrimage to Santiago de Compostela, in northern Spain, yet he wanted the challenge of the route to Rome – which is not only longer, but much harder. He walked for 94 days, often in 30C heat and writing copious notes in small A5 note-books, posting them home at regular intervals. He walked through four countries and over three mountain chains, encountering snow, wind, rain, fog and torrid heat and using 47 maps and two pairs of boots. Harry is a major devotee of walking, particularly in his native Dorset, and suggested that it is not life in the slow lane, but “in the right lane” His pilgrimage was a remarkable journey, and he subsequently turned his experiences into a sparkling book, called Like a Tramp Like a Pilgrim, which was published just a couple of days before Harry came to Wootton on July 18th. 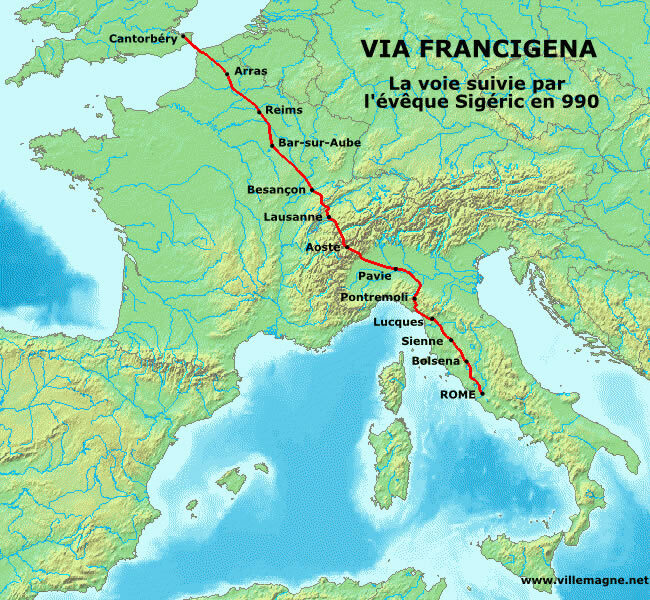 Harry – a former officer in the Coldstream Guards for 12 years – largely followed the Via Francigena, the ancient path dating back nearly 2,000 years and which, in medieval times, pilgrims took en route to visit the Holy See and the tombs of the apostles, Peter and Paul. In those times, the church controlled every aspect of people's lives and completion of the walk meant, in part, they were absolved from all their sins. Harry told us, with a twinkle on his eye, that he believed all his sins were now absolved. The route took Harry him through France, Switzerland and Italy and provided him with vivid tales of saints and kings, as well as war and revolution. The Via Francigena is usually considered to have its starting-point in Canterbury and – in a fascinating aside – Harry filled in details of the life and death of Thomas Beckett, who became archbishop and was subsequently slain in 1170 on the orders of Henry II after a disagreement over the rights and privileges of the church (soon after his death, he was canonised by Pope Alexander III). Despite being used to roughing it in the Army, Harry stayed on occasions in some dubious accommodation, describing one particularly fraught night when fleas in his blankets attacked him voraciously. Always with Harry was his pilgrim’s key - made by an engineer-friend in his home village in Dorset and which dangled merrily from his back-pack. In one hilarious interlude, Harry told us of the time he’d misplaced the key and gave us a wonderful impression of an Irish woman he met who prayed to St Anthony – the patron saint of list things – for it to turn up….and it appeared very soon afterwards. Harry also carried his pilgrim’s passport, which helped him find accommodation on occasions in monasteries. Until relatively recently, interest in the Via Francigena was limited to scholars, but – more recently – many others have discovered it and even marked its trails and paths with paint. Some bar-owners even took advantage and claimed the route took pilgrims virtually through their premises. Fellow pilgrims included a paraplegic woman in a wheelchair, as well as a bearded wanderer, called Andreas, and Harry’s driver from his Army days, who kept him company for a while. There was also a group of young Polish priests, who were making their own pilgrimage – but he told us that what struck him most forcefully was the endless kindness of strangers along the way. After leaving the Army, Harry had worked in the oil and mining industries and later produced theatre on the London Fringe and sat on the Olivier Awards panel. His first book, called In The Dolphins Wake, chronicled a 6,000-mile journey through the Greek islands in the Ionian and Aegean Seas, visiting 36 islands – and it won high praise from the acclaimed travel writer, Jan Morris, as well as Sir Patrick Leigh Fermor, considered Britain’s greatest living travel writer until his death in 2011. 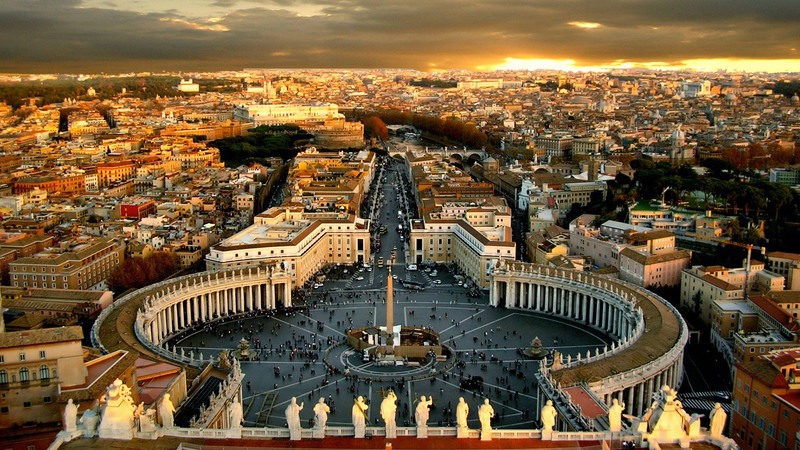 Despite his book on the Rome pilgrimage having been published just before Harry appeared in Wootton, it had already won huge praise, including from Alan Titchmarsh, John Julius Norwich, the historian, and even Martin Sheen, the Hollywood film star, who described it as “wonderful”. Harry sold many copies of the book and proceeds from the evening for hall maintenance were over £400.